So far, Mr. Trump has evaded the usual venue for settling trade disputes — negotiating through the World Trade Organization — by citing national security as a justification for his severe tariffs on steel and aluminum imports. American companies want a level playing field with their Chinese counterparts. China wants to build its industries into sophisticated global competitors. This week, both countries demonstrated a willingness to escalate trade tensions to defend their positions. 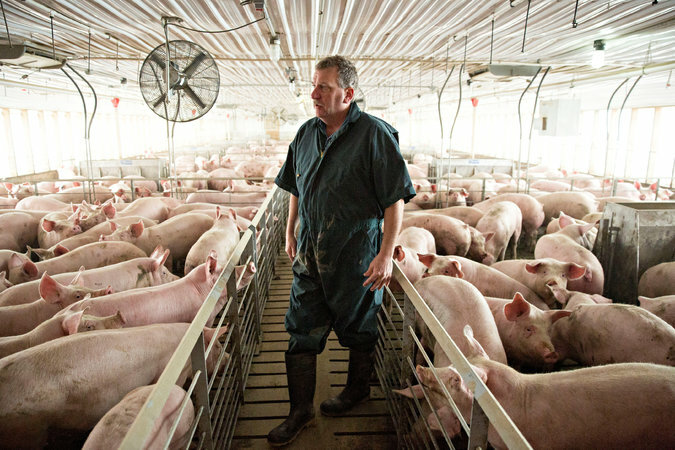 Last week, Beijing struck back, threatening an additional $ 50 billion worth of tariffs on American products, including soybeans, cars and pork. It has asked the European Union — subject to Mr. Trump’s proposed tariffs but temporarily exempted — to take its side in the dispute. Beijing has good reason to be concerned about Europe and the United States ganging up against it over trade. Despite its unhappiness over Mr. Trump’s methods, Europe is unlikely to side openly with China, given the importance of the trans-Atlantic security relationship and its own arguments with Beijing. Germany and France, in particular, have been increasingly annoyed by China’s behavior, especially its closed markets and its lack of transparency about investments in Europe. There has also been growing recognition that China is pursuing its own great-power goals as relentlessly as Mr. Trump wants to do. Europe has become tougher in its view of China, he said, with France, Germany and Italy urging the European Union to start screening investments in sensitive industries and sectors. Mr. Trump campaigned on an economic platform that was anti-globalization, anti-Germany and anti-China. He promised, in particular, to get tough with China to benefit American workers, promising huge and unlikely blanket tariffs and taxes on Chinese imports. Some action was expected, and now it has come. 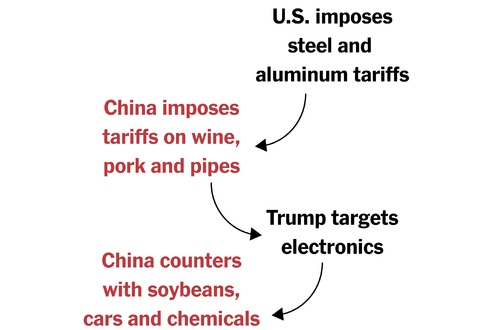 But there is still debate in Europe about whether Mr. Trump intends to go through with these tariffs or whether they are part of his theory of negotiation — threaten big, then call even minor concessions a victory. No one is sure. But Ms. Stanzel and others believe that China’s leader, Xi Jinping, just granted an end to term limits on his job, does not want a trade war that unites the wealthy, technology rich West against him, however reluctantly. But Europe’s exemption from the steel and aluminum tariffs will end on May 1, unless a deal is reached. And both Mr. Xi and Mr. Trump need to look strong and determined. So there is wariness in Europe, fueled by the strong anti-multilateralist tenor of senior Trump officials and the resignation of Gary D. Cohn, who as Mr. Trump’s chief economic adviser had seemed a voice of restraint. Brussels feels vulnerable, said Stefano Stefanini, a former Italian ambassador who is now a security consultant based in Brussels. The European stance so far, he said, is a mix of tactics, strategy and denial. The tactics are to threaten retaliation against American goods. 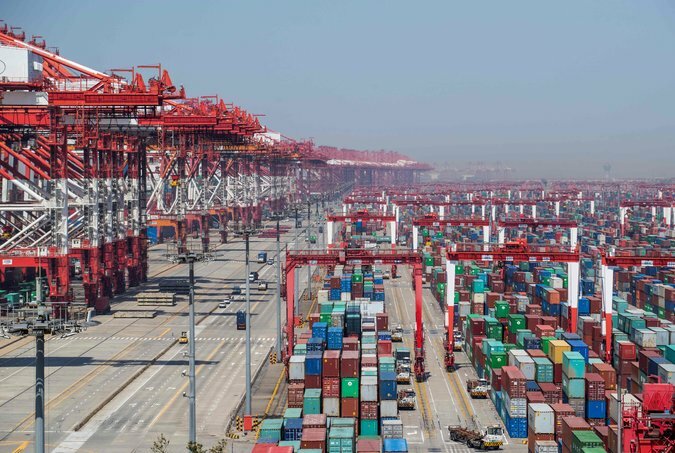 The strategy is to hedge its bets between Washington and Beijing, in part depending on whether it is exempted from the tariffs. The denial is the less-than-certain hope that negotiations will avoid the worst. Neutrality is difficult, he said, “when you’re already under attack,” especially given that the binding essence of the European Union is free trade and the global rule-based order. The bloc is right to try to preserve the global trading system and to bring Washington and Beijing to the table, Mr. Wolff said. But Europe will also find itself under pressure if China starts redirecting its steel to Europe, as Russia is likely to do with its aluminum. “Will lobby pressures become so great that the E.U. will also feel compelled to raise tariffs?” he asked. Europe’s best response, Mr. Wolff suggested, is to put greater focus on its domestic market in order to reduce its dependence on global trade. Europe should, he said, increase its domestic investment, promote innovation in the new digital economy currently dominated by the United States and China, and spend more on its own defense.